Many years ago, when I interned for WIC, I fell madly in love with maternal and child nutrition – often tearing up at the sight of a woman feeding her infant or a child eating solid foods for the first time. 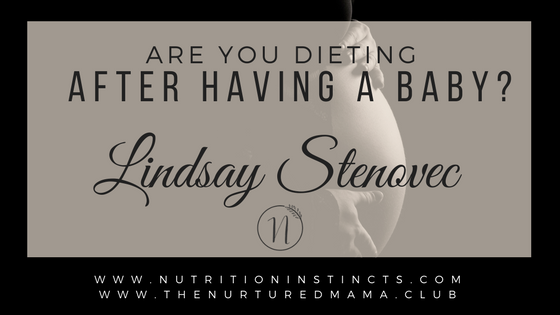 I knew nutrition during pregnancy was important, and for some, complicated however, I had no idea what was in store AFTER the baby arrived. I hadn’t put a whole lot of thought towards this stage in terms of a mother’s wellness – I, along with most of the medical world, paid special attention to infant feeding – breastfeeding, pumping, bottle feeding but, didn’t stop to ask what postpartum was like for mothers and how it impacted their own intake and body image. You probably know that puberty is one of the riskiest times for disordered eating and eating disorders in a woman’s life. Want to know the others? Yep, all times of great change – pregnancy, postpartum and menopause. Most people have heard terms like “pregorexia” and believe that many women suffer from body image distress during pregnancy. They’re right. 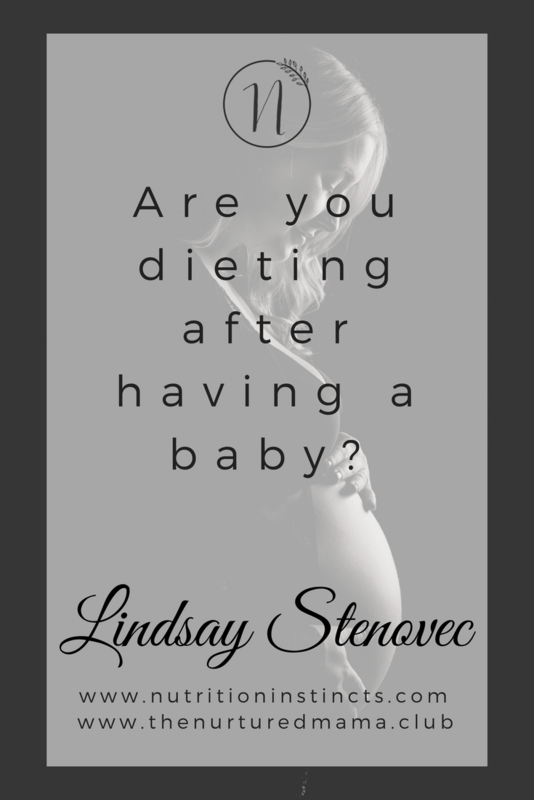 Many women struggle with food and body stuff, including eating disorders, during pregnancy. However, postpartum is an even riskier time to fall into a dieting disorder or even an eating disorder. And we get, by far, the least amount of care, screening and medical attention during the postpartum time. 1.Learn how to be IN your body. Start practicing pausing and body scanning – this can be practiced at any time. Of course, being a dietitian, I use this particularly around the eating experience. Starting at your toes, all the way up to your head, check in. Every client I work with hears this question a lot from me, “How did xyz experience [with food] impact you physically? and mentally? and emotionally? And how is each impacting the other?” Some have lots to say and others are stumped. It doesn’t matter if you have lot or little to say about those things right now – just keep keep practicing and notice what you learn – non-judgmentally, with curiosity. The next time your baby is crying or your toddler is whining, check in – how does this impact you? How might that experience impact your appetite or eating experience? 3. Make sure you have access to food. To eat what we need and what we love, we must have that food easily available to us. Extensive meal planning is tough to fit in – especially if you have a kiddo under one. Use resources like grocery delivery and meal prep services like https://onepotato.com/. I also highly recommend the meal planning tool Plan to Eat. Affiliate link: Plan to Eat . If you have a young baby, ask a family member or friend to sit down next to you, sign you up for Plan to Eat and start uploading simple recipes to the system. They don’t have to be fancy. Spaghetti and store-bought meatballs with a quick side salad works! Or store-bought tomato soup cooked with cheese tortellini, kale and toast. Then have them drag and drop recipes into the calendar for each week – making room for nights you might eat out or eat leftovers. Do this for the entire month in one sitting. You can always adjust as necessary but doing a month at a time saves you so much time! Now, here’s where the magic of Plan to Eat happens – simply click the “shop” button and boom – you have your grocery list! Pick a day you or your partner will either grocery shop or order a grocery delivery and you’ll have tasty, nourishing food available, when you need it! 4. Begin to explore the body positive, intuitive eating world. Start listening to podcasts like “Love, Food,” “Food Psych,” “Dietitians Unplugged,” and “Body Kindness.” Pick up Intuitive Eating or Body Kindness on audible or at a bookstore. Join online groups like The Nurtured Mama Club (mine! ), Dare Not to Diet, and Food Psych to surround yourself with likeminded people and to learn what it’s like to live a life free of dieting and body shame. Stop following people on social media who make this process difficult for you and swap them out for body positive accounts. 5.Connect with a professional. Some people are able to read a book like Intuitive Eating and never consider dieting again. It just clicks for them and they begin implementing self-care immediately. However, for many, it isn’t as simple – especially when you have and eating disorder or a history of one. There are many body positive dietitians out there who provide individual, group and eCourse services to help you along your journey of letting go of the diet mentality, listening to your body’s cues and moving towards body love. 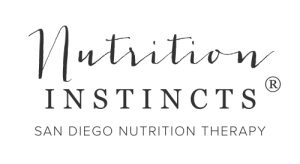 Check websites like intuitiveating.com, ASDAH and IFEDD for dietitians who are experts in intuitive eating and/or eating disorders and can meet your personal needs. Of course, if you feel I’m the dietitian for you, reach out. I provide individual and online services. I’m also super excited to be launching an intuitive eating based eCourse just for mamas. If you want to get on that waitlist to be the first to find out about the launch date and get access to early-bird discounts, click here. In short, know you are not alone and there are many resources available to help you. Body and self-acceptance is a long process. Be patient with yourself and surround yourself with people who will support you.